has won “Best of Customer Service” on Houzz, the leading platform for home remodeling and design. The best remodeling company in Pennsylvania and New Jersey was chosen by the more than 40 million monthly unique users that comprise the Houzz community from among more than one million active home building, remodeling and design industry professionals. 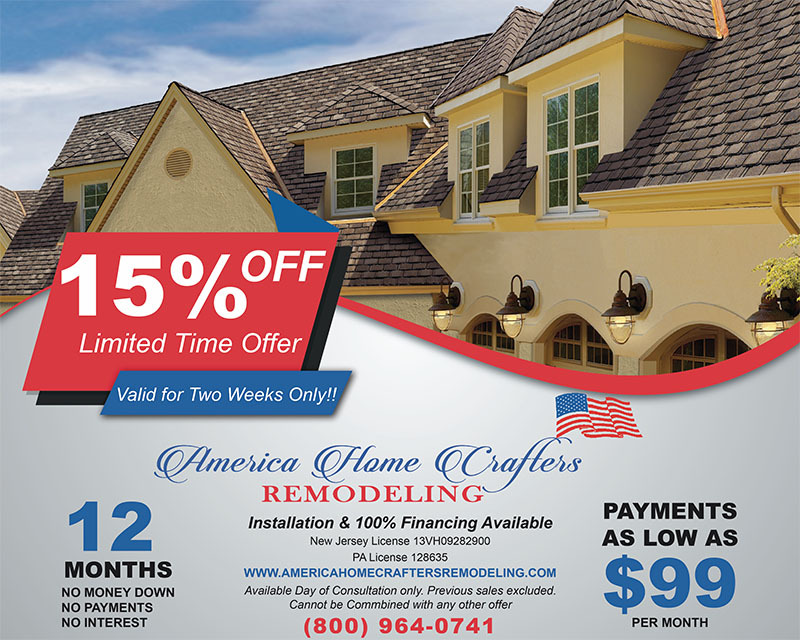 America Home Crafters Remodeling is a 5-star rated remodeling company specializing in both residential and commercial projects throughout Pennsylvania and New Jersey. Making you happy with your home improvement project is our Top priority. Therefore, we invest heavily on our team’s training and education. We ensure you get expert, experienced home improvement consultants and installers. They will always treat you with professionalism and respect and will get your job done right the first time, at a price you’ll love!